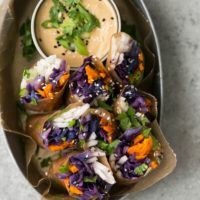 A fun winter spin on fresh summer rolls featuring roasted cabbage and sweet potatoes along with an easy tahini dipping sauce. Heat oven to 400˚ F. Remove core and cut cabbage into large wedges. Slice sweet potato into thin matchsticks and toss with olive oil until well coated. Place cabbage and sweet potato on a parchment lined baking sheet. Roast 20 to 25 minutes until sweet potatoes are tender. While vegetables are roasting, sliced daikon radish into thin matchsticks and chop scallions. Mix together ingredients for dipping sauce and set aside. When vegetables are done roasting, remove from oven and let cool to touch. To assemble a summer roll, soak the rice paper for 10-15 seconds in warm water. Place rice paper on a cutting board and layer daikon, cabbage, and sweet potatoes. Sprinkle with chopped scallions. Roll, tuck, and fold in sides as you go. 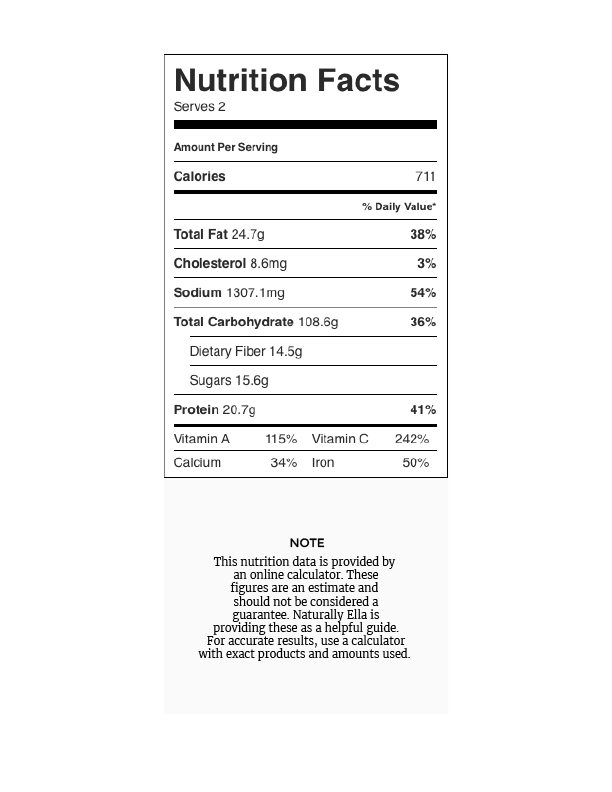 Continue with remaining ingredients. Tips and tricks: Roast garlic alongside the vegetables and include in the sauce instead of raw garlic. When soaking the rice papers, you don’t want them to be too soft when taking it out of the water, as they will soften as you add filling.